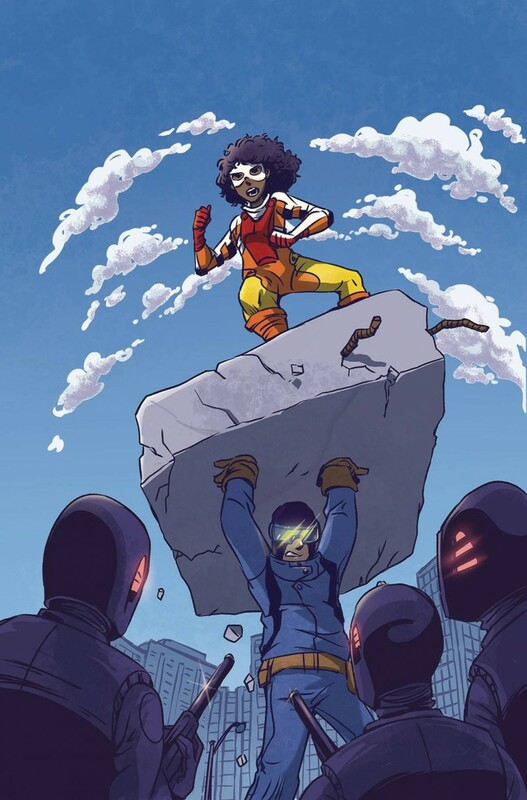 Ohio’s new superheroes, Cosmosis and Amina, have barely survived taking on the soldiers from Foresight Corp. The enemy knows their secret identities, and has their parents in custody, forcing the heroes to go into the belly of the beast to reunite their families. But their new ally Abbie is taking on Foresight in a different way, and the secrets she digs up may turn the tide of battle.